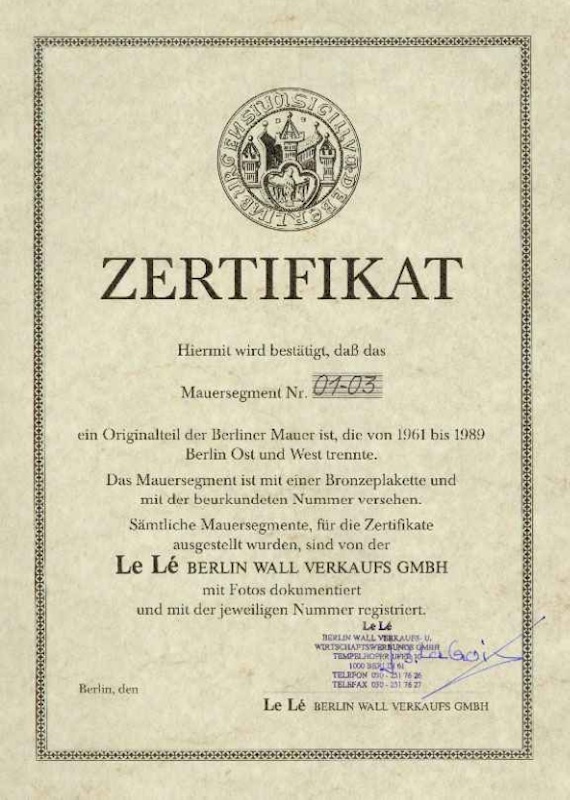 Under the watchful eyes of the public several segments were lifted out of the Wall at Potsdamer Platz in November 1989. One of which was inscribed with “Meijer”. 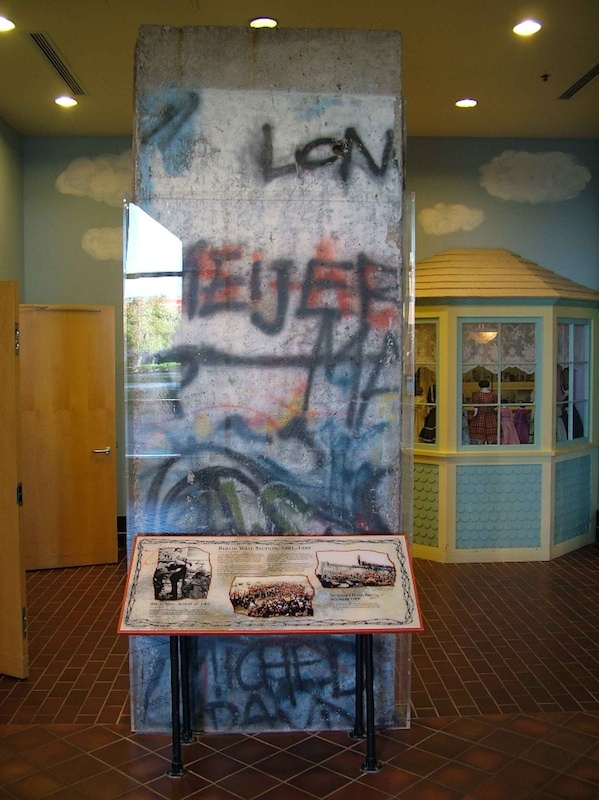 As Frederik C. H. Meijer, owner of a supermarket chain in Grand Rapids got aware, he got at once in contact with the Berlin Wall Commemorative Group to secure “his” segment, which he donated to the Van Andel Museum Center in Grand Rapids. 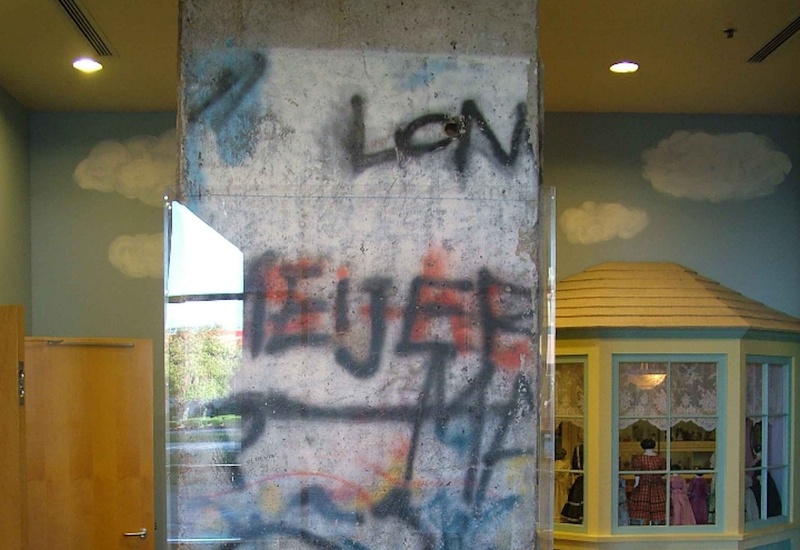 Other segments, Meijer also acquired via the Berlin Wall Commemorative Group, were donated to the Gerald R. Ford Presidential Library and Museum and Grand Valley State University in Grand Rapids.